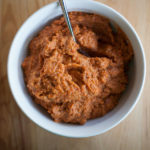 The first time I had romesco sauce was on a trip to San Francisco to visit old friends. We had lunch at Greens, a well-known vegetarian restaurant at the Presidio. I ordered their roasted veggie slab, an enormous freshly-made ciabatta sandwich piled high with roasted veggies. To this day I remember how amazingly delicious that sandwich was and how beautiful the view of the bay and the Golden Gate from our table next to the big picture window (no fog that day). Besides the ciabatta and the perfectly grilled vegetables, what really made the sandwich so memorable was the romesco sauce. 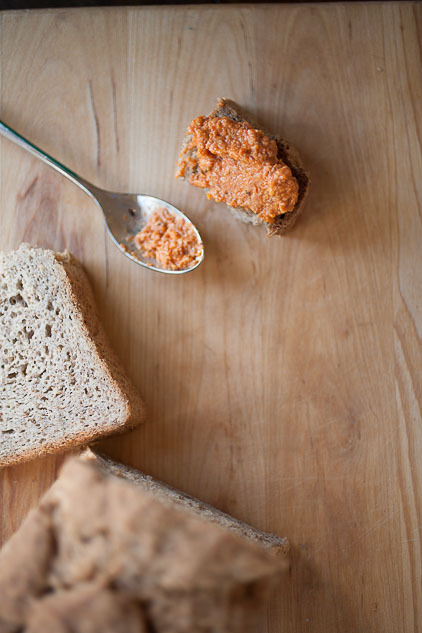 It was this perfectly sweet, yet savory, yet slightly spicy spread that added an entirely new dimension to the sandwich. 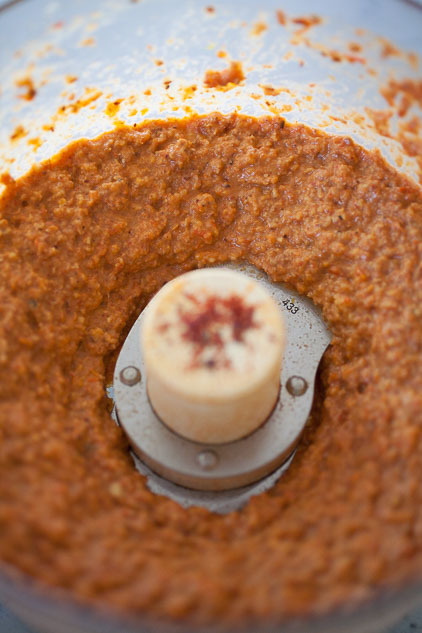 Thus began my love affair with romesco sauce. 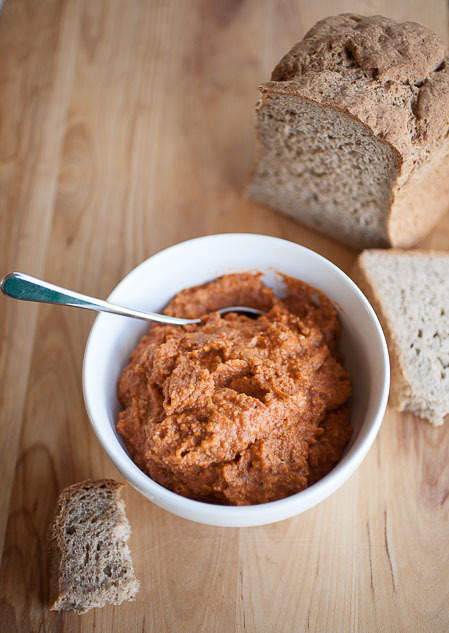 Romesco sauce, or salsa romesco, is Spanish in origin, specifically the Catalonia area in North West Spain. 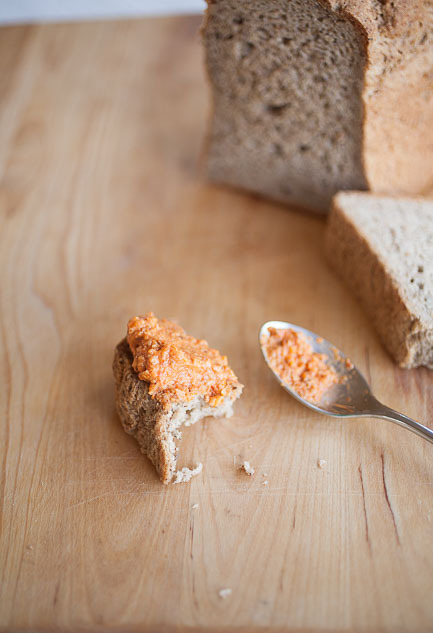 Legend says that the fisherman of Tarragona (the specific town in the Catalonia region from which romesco is supposed to come) would make this sauce with a mortar and pestle to eat with the fresh catch of the day. 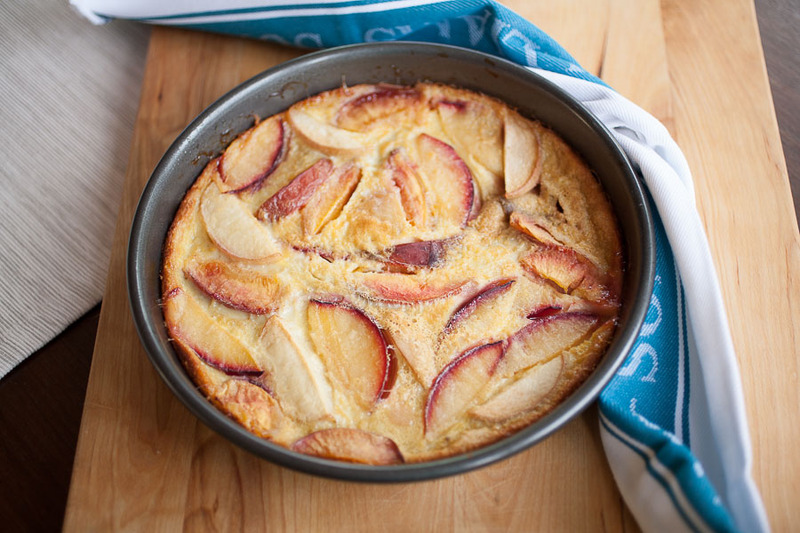 It’s rich, creamy, and absolutely full of bright, sweet-roasted-savory flavor. It’s such an amazing addition to any meal you can roast on the grill, like vegetables, chicken, beef, corn on the cob, broccoli, in a salad, on a roasted veggie sandwich… (I should probably create a recipe, come to think of it…). Also, of course, it goes well with fish. One word of caution: because it’s such a strongly flavorful sauce, I wouldn’t use it with anything too delicate, like a mild-flavored white fish. The romesco would just end up being overwhelming and the only thing you could taste. 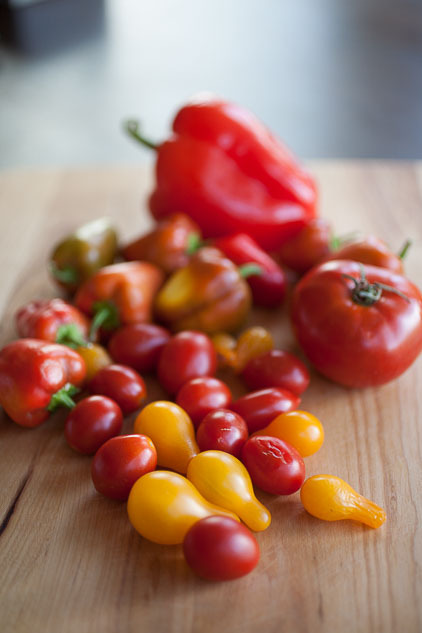 It also lends itself perfectly to the inclusion of farmers market produce, especially tomatoes and peppers. 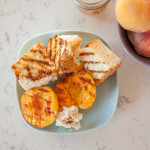 It’s what I used to make the romesco in these pictures. It just adds that special addition of sweet (and sweet pepper) flavor. Thus, this farmers market romesco. 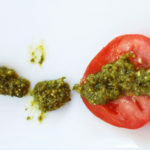 I admit, this recipe isn’t as simple as most of the recipes I post here—definitely not a set-it and forget-it type of sauce. You have to prep and roast many of the ingredients. It’s absolutely worth it, though, and if you’re already grilling, why not add a few more ingredients? There are also two ingredients you may not have but are pretty essential to give this recipe its taste—smoked Spanish paprika and sherry vinegar. The smoked paprika gives the sauce a deeper, smoky flavor and the sherry vinegar gives a slightly acidic but mildly sweet addition. A vinegar like balsamic would be too strong, in my opinion. Also, you’ll need to roast peppers and peel them. If you need more information, you can look at the blog on roasting green chile and follow the instructions there—the result will be the same no matter what pepper you use. Toast the almonds in a pan over medium heat, stirring often, until just golden. Toast the piece of bread until golden. Roast the peppers and tomatoes on the grill or under the broiler until soft or, in the case of the peppers, charred all over, about 20 minutes (but check often). Put the peppers into a plastic bag or into a bowl covered with plastic wrap and let sit for 15 to 20 minutes. Remove the skin from the peppers along with the core and seeds. 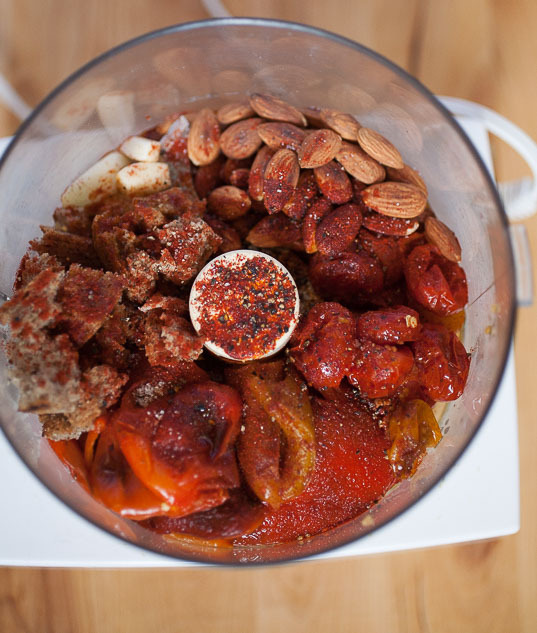 Place all ingredients into a food processor and puree until smooth. You can add any seasoning to taste. 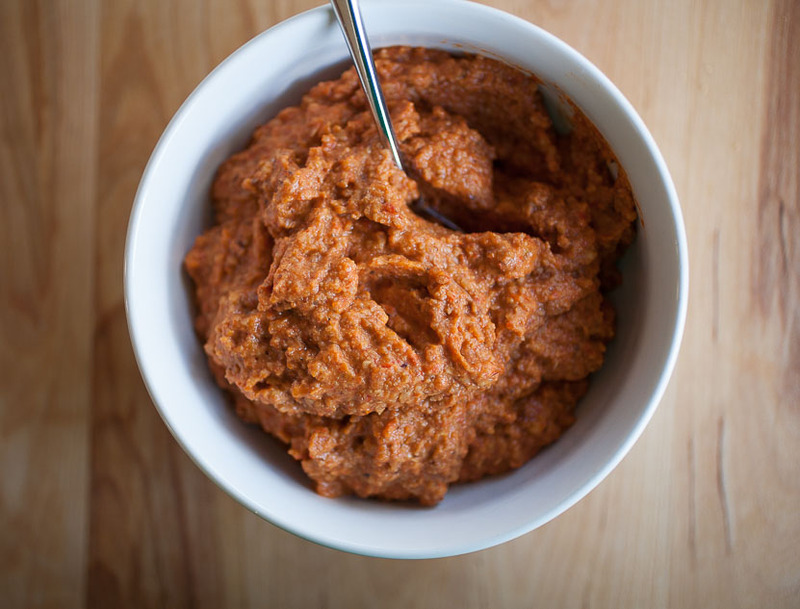 Romesco sauce can be kept in an air-tight container for up to 5 days. 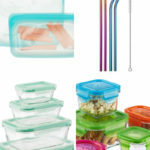 It takes a bit of prep, but I promise it’s completely worth it–we’ve been eating the batch I made last week on pretty much everything–no joke! 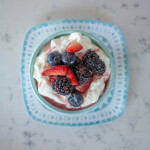 This summer on the blog is, apparently, all about berries. I made a berry compote to top a sweet cornbread for Fourth of July a few weeks ago and let me tell you, it was a miracle any of it made it to the top of the cornbread. It took a lot of self-control not to eat the entire pot with a spoon. 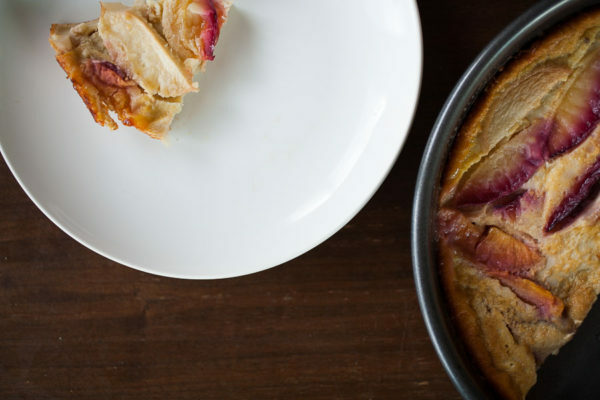 It’s like eating the filling of a berry pie, which is really my favorite part. 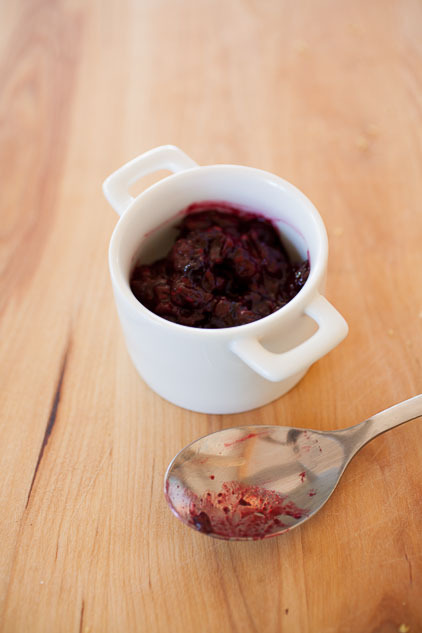 This compote is also super, super simple to make. I know, I always say that. But, really, all you do it pour whole berries into a pot, squeeze honey over them, turn on the heat and let them simmer down to sweet, sweet goodness. 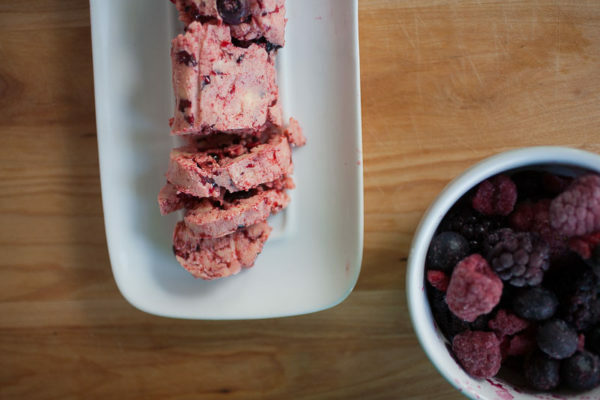 It’s sweet and slightly tart and bursting with berry flavor. 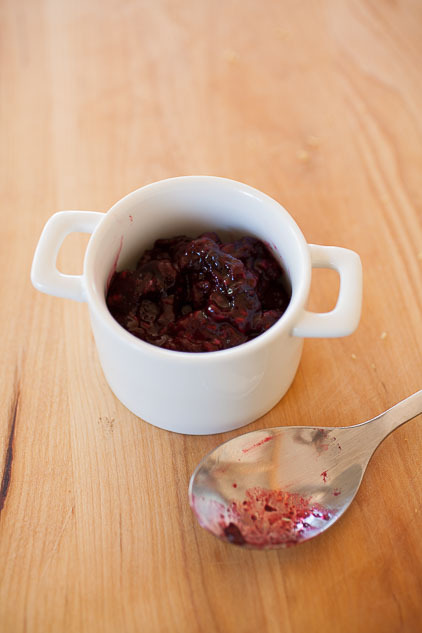 And, really, this compote is just as good on its own, served warm in a bowl with just a spoon. 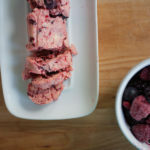 And although I’m making this with fresh summer berries, frozen berries are also a perfectly good option! (You can get more information on choosing summer berries at the store in last week’s blog, by the way.) Also, I’m adding a few ideas for add-ins that aren’t needed, but add some extra layers of flavor. 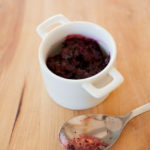 Warm, sweet, and tart, this simple summer berry compote is perfect over summer desserts like ice cream or grilled pound cake! 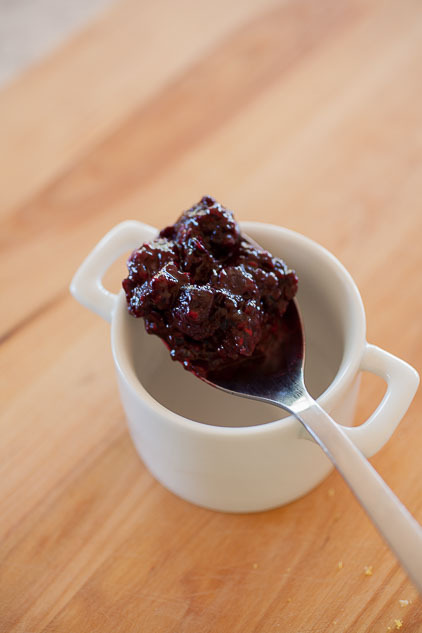 Pour the berries in to a heavy-bottomed pan and squeeze 3 tablespoons of honey over top. Stir to combine. 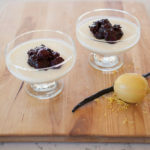 Turn the heat to medium-low and let the berries simmer, stirring frequently, for about twenty minutes, or until the berries are melting and the liquid is reduced and thickened. Don’t let it go too long or you will burn the berries. Tada! That’s it. My mouth is watering just thinking about it. I think I’ll go make some more, actually. So, butter. I admit it, I love good butter. I love it on toast, I love it on buttered noodles, I love it in potatoes and sweet potatoes and over roasted veggies. 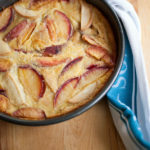 I love a little bit in my oatmeal or my cream of wheat or on a piece of fresh-out-of-the-oven cornbread or melted over waffles and pancakes. It’s even great over a grilled steak. I also just adore European butter over a piece of really good crusty bread with a little bit of salt sprinkled on top—heaven! What can make butter even better? If you add to it in the form of compound butter. 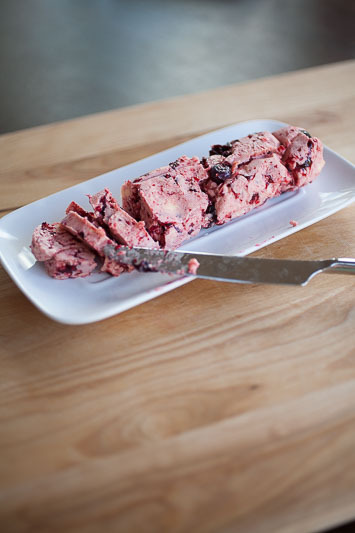 Compound butters are simple to make, but the results are so delicious! And you can make them either sweet or savory. 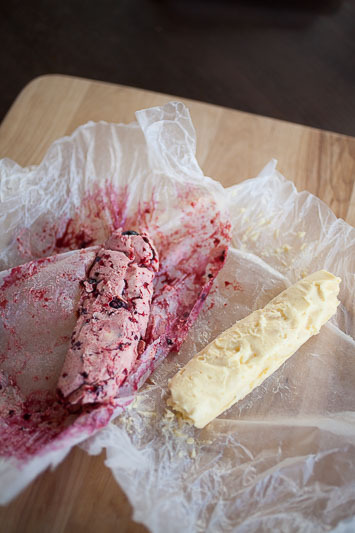 The two recipes I have today are for a berry-cinnamon-honey compound butter and a roasted garlic compound butter. So what, you’re probably (not) asking, does this have to do with the summer ’16 dessert series? 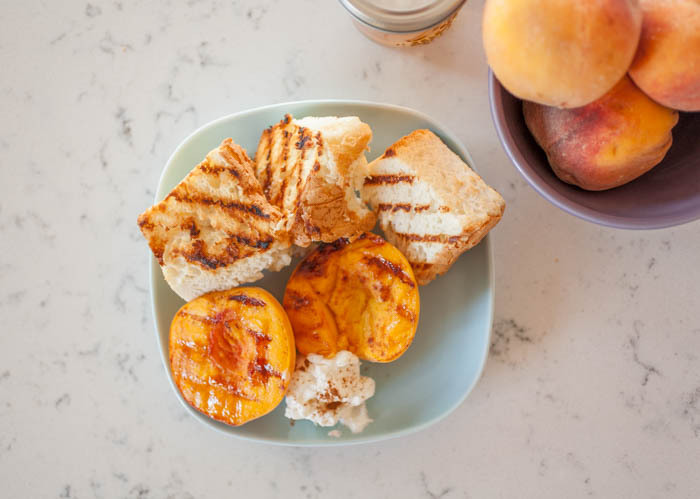 Imagine this: berry-cinnamon-honey butter melting into every little nook and cranny of a pound cake or angel food cake that’s been grilled (for more on grilling cake you can check out my recipe for grilled peaches and angel food cake). There may possibly be ice cream and berries involved. 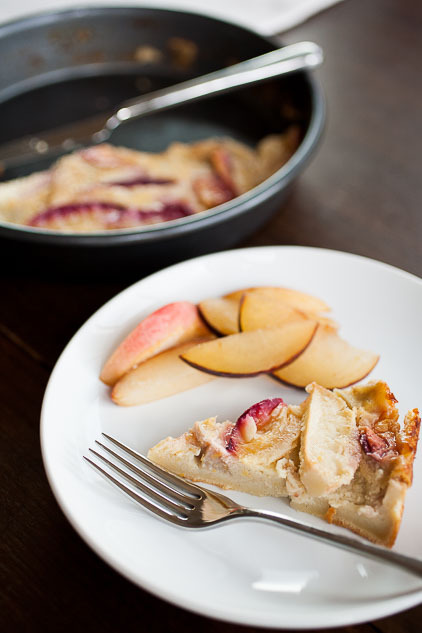 There you have a fusion of warm, cool, sweet, and tart with a touch of salt that is absolutely heavenly. 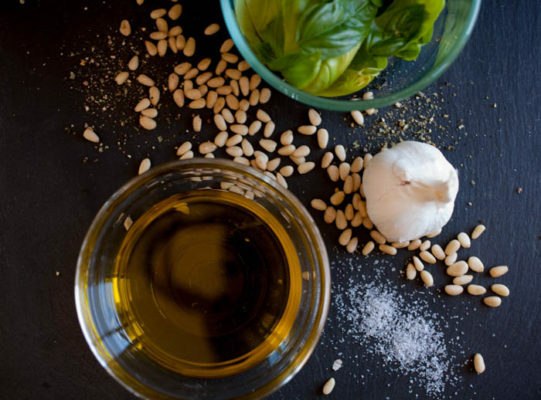 And because it’s summer, I’m including the roasted garlic compound butter recipe because it really is perfect over grilled meats, grilled veggies, and melted over rice. 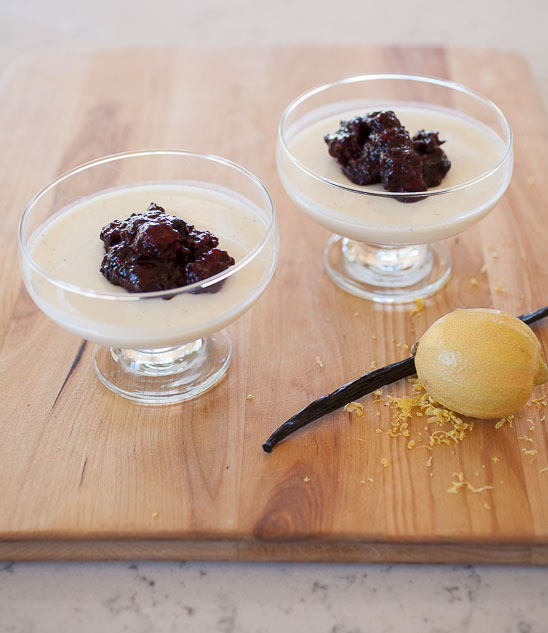 Whether it’s dinner or dessert, these two recipes are the perfect addition to dining al fresco this summer! Quick Note: I use salted butter for my compound butters, including the sweet butters, because I love the flavor dimensions a small bit of salt creates without overpowering any other flavor. Salt can really bring out the best in other ingredients. If you don’t want salt or can’t eat the salt, however, buy unsalted butter. Sweet and savory, these homemade compound butters are simple to make and perfect for summer dishes, from roasted meats to grilled cake! 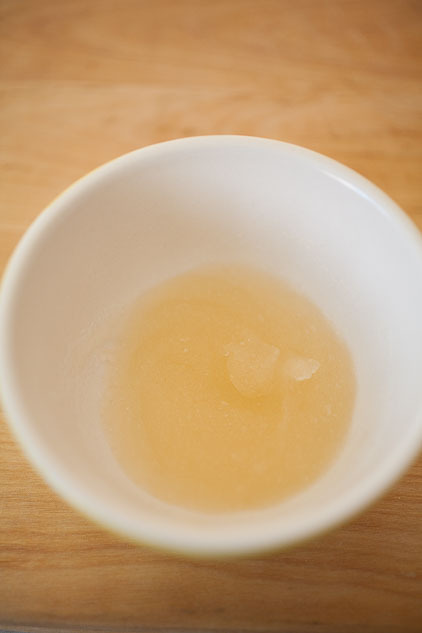 Combine all ingredients for your particular butter in a bowl or the bowl of a stand mixer. 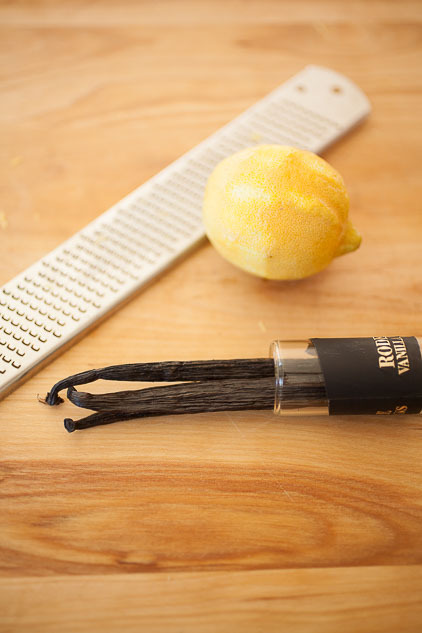 If mixing by hand, use a spatula to stir and mix all ingredients together until thoroughly combined. If using a stand mixer, use the paddle attachment at medium-high speed for a two until everything is well combined. At this point, you can taste the butter to see if it needs additional ingredients or seasoning. 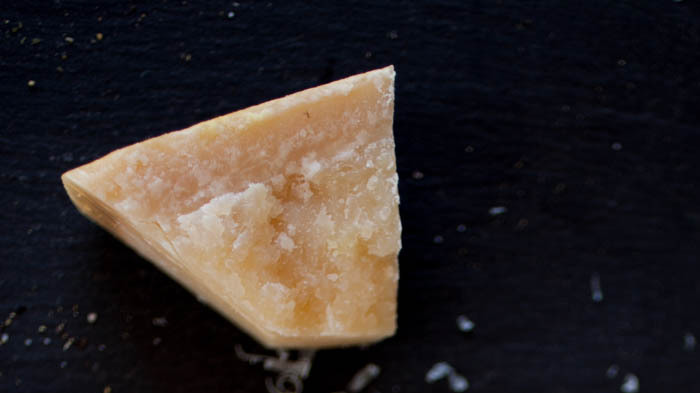 Scrape the butter onto the far end of a piece of wax paper and start rolling the wax paper tightly, shaping the butter into a roll as you go and pressing the ends in. Twist the ends of the wax paper tightly, giving the butter one last shaping, and place into the fridge for at least two hours. Slice into the butter and serve over whatever you wish! Compound butters can be stored in the fridge for two weeks. 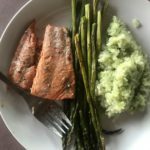 So there you have two recipes for compound butters, but you don’t have to stop here! 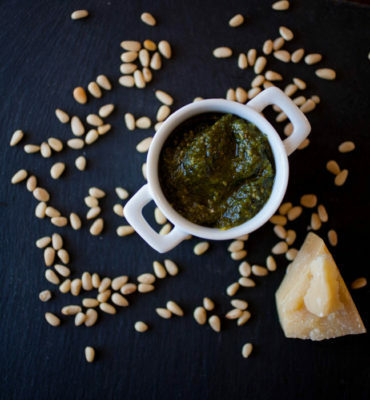 There are so many different combinations you can try, such as dried or fresh herbs, roasted garlic with fresh or dried herbs, cinnamon and honey, maple butter, cilantro lime, pumpkin spice—it’s up to your imagination! Anyway, first things first: how to choose berries at the store. 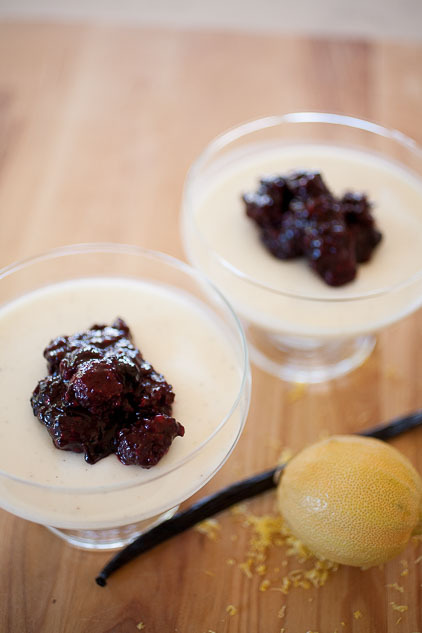 Summer desserts just aren’t the same with sub-par, tasteless berries. 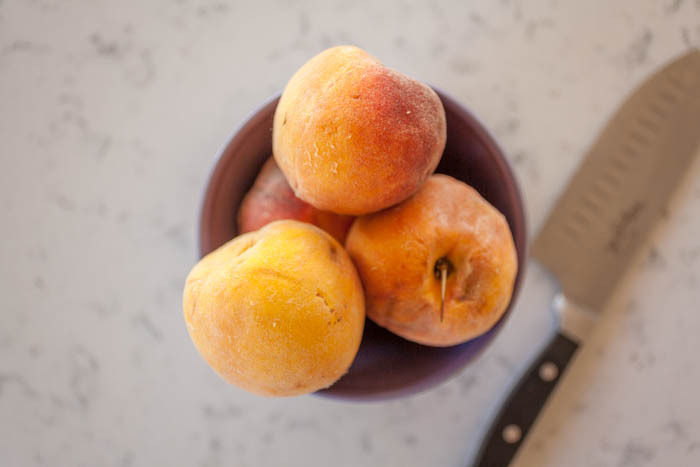 I covered the basics, along with what to look for when shopping for other summer fruits in last year’s summer produce blog, but I’m sharing a few more tips that I use for finding the juiciest, sweetest, and freshest berries in the grocery stores. Yes, I realize they look frozen. That’s because they are. I froze them last week after buying them at the store. This week when I went to buy them, the berries just didn’t look very good. A note: These aren’t full-proof—they work most of the time. But, more often than not, they work when berries are in season. While not an indicator of taste and freshness 100% of the time (I’ve been very disappointed on that account…), deep color can usually tell you whether a bunch of berries are ripe, juicy, and tasty. Look for deeply crimson raspberries, deeply red and shiny strawberries, shiny, almost black raspberries, and deeply blue blueberries. The colors will deepen as the fruit gets older, but your eye will probably notice a difference between old berries and fresh, ripe berries. 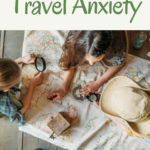 You’ll probably also notice some wrinkling, soft spots, or dullness. Have you ever been walking through the produce section of your grocery store and stopped because a sweet, summer smell made you stop in your tracks as you passed the strawberries? 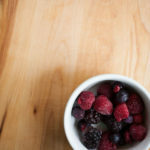 Fresh, ripe berries smell like they’re supposed to—you can smell the sweet perfume of ripe summer strawberries and the earthier, slightly sharp aroma of raspberries. Underripe, out-of-season berries usually don’t smell like much. This takes a combination of your senses and the tips above. Before you put it in your cart, look at the carton: what do they smell like? Can you see any mold, dark spots, or soft spots? Do the berries look bright and fresh or wrinkly and old? What is the color like? Your senses will do a good job at telling you what’s good and what’s not a majority of the time. Stores receive deliveries of certain items on certain days of the week, so ask if they know when their deliveries come in and specifically when the berries come in. There’s a better chance of getting fresh berries if you go in that day! Just like all veggies and fruit, berries all have their seasons, and in-season berries are often the most flavorful and juicy. 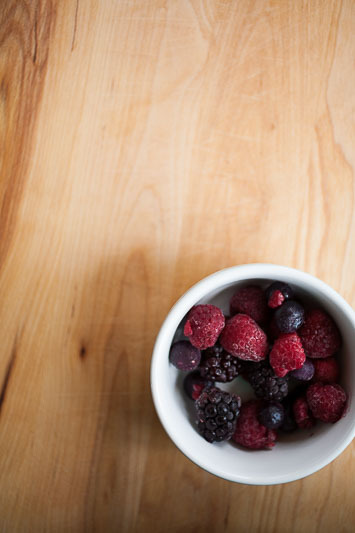 Knowing which berries are in season when will help you know what to look for at the store. 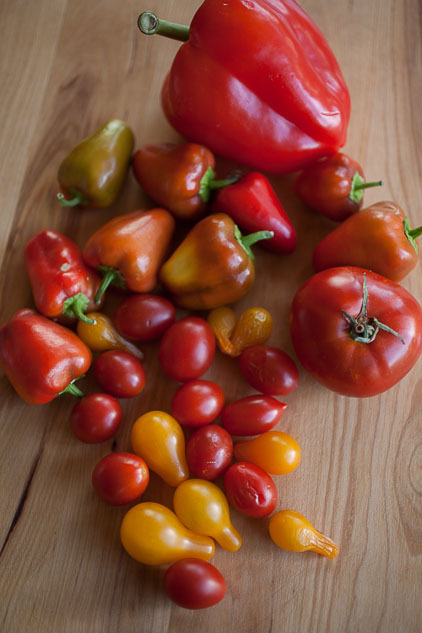 You can find more about seasons for specific berries on the blog about summer produce! So those are the guides I use to find the best berries during the summer. Admittedly, it doesn’t work all the time, as I said above—there are always a few trips to the store that end with a disappointing carton of berries that *looked* perfect, but turn out to be duds. But! More often than not, I’ll end up with those amazing, sweet, juicy, brightly flavorful berries that I start eating in the car on the way home (which is why I usually buy two cartons…). 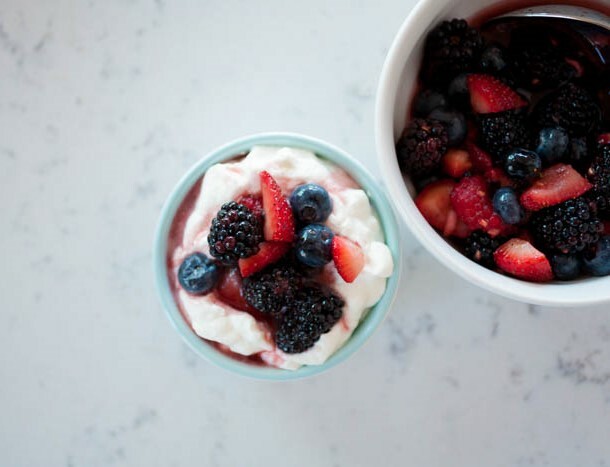 What’s your favorite type of berry? Tell me in the comments below! I really do wait all year for summer fruit. 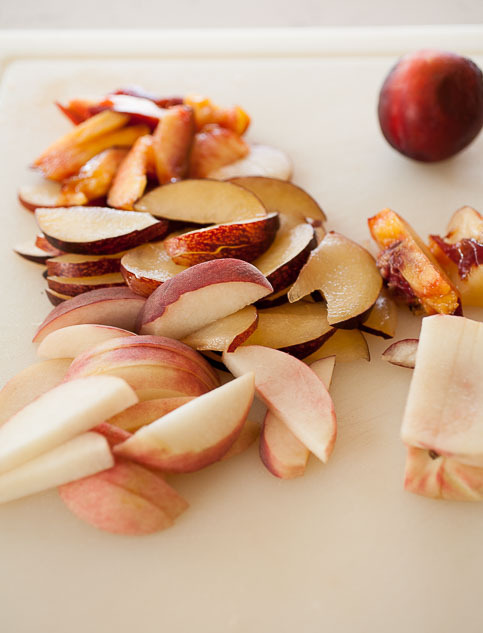 There’s almost nothing like the sweet, bright flavors of fresh summer fruit when it’s right at its peak. 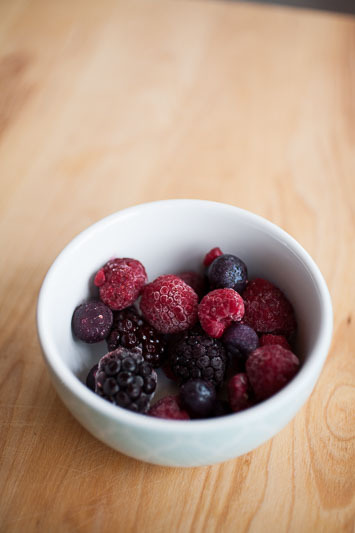 There’s such a contrast between the flat, almost flavor-less berries you get in the store during the fall and winter. 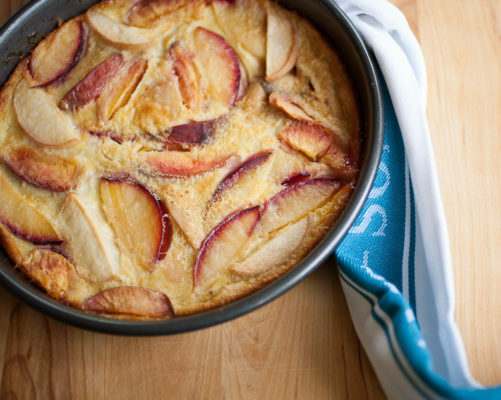 This recipe is beautiful in its simplicity. The soft, mellow cream highlights the perfect summer sweetness of the berries. 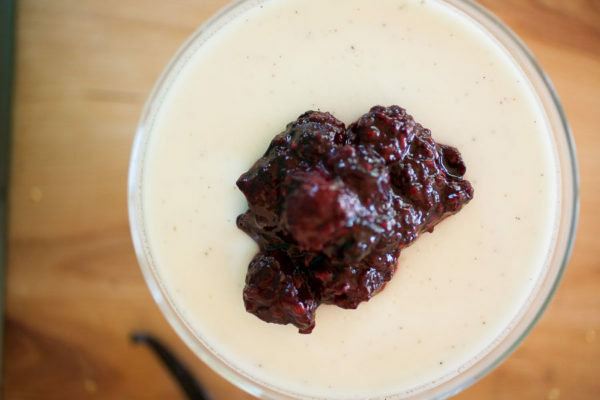 The two flavors meld together perfectly, whether the berries are fresh or macerated. My spring and summer produce guides have some pointers for looking for the best berries.